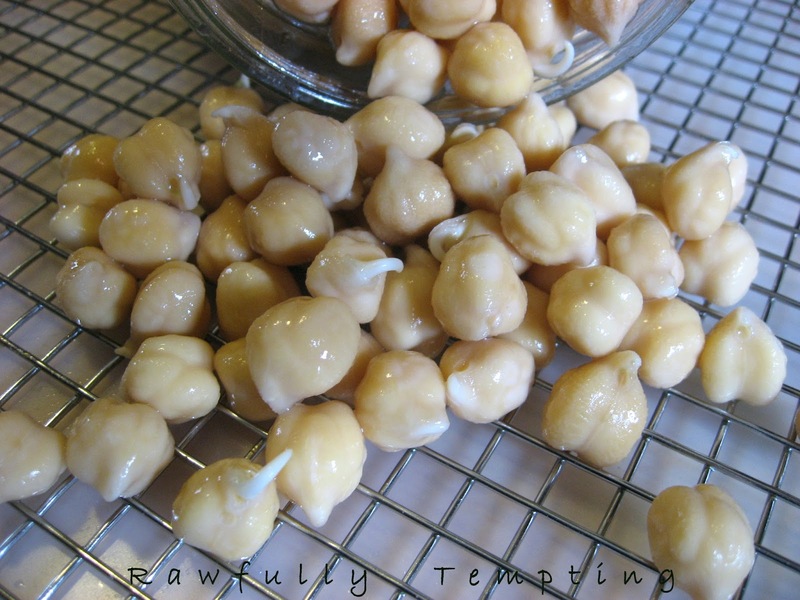 Sprouted chickpeas (garbanzo beans) are chock full of wonderful nutrients, however, have never been a favorite of mine in their raw state. 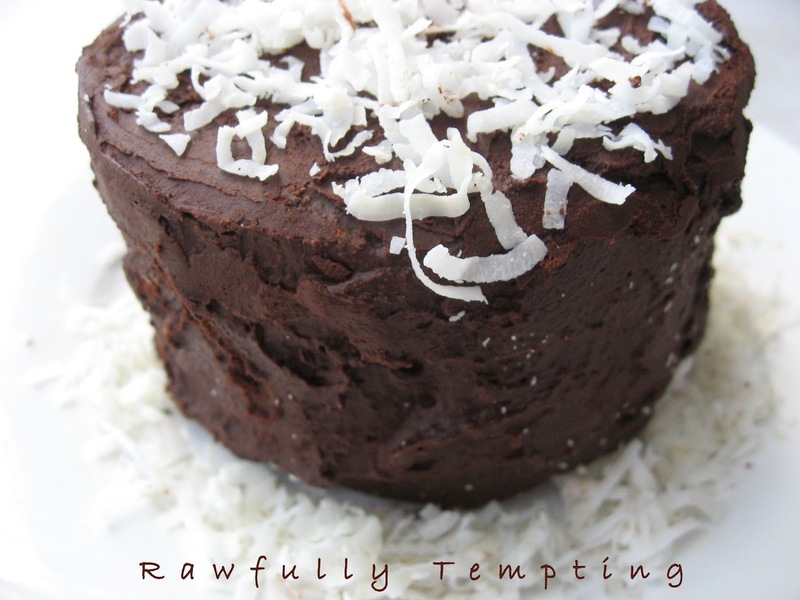 But, aside from hummus, they are awesome when used in cakes, cupcakes, breads and pizza crusts, imparting a really nice "cake-like" texture. They are versatile and can be used freshly sprouted and ground, dehydrated whole, then frozen, and re-hydrated when needed, or dehydrated and ground into a beautiful flour. I suggest you experiment with all of these beautiful textures to see how they work. Rinse well in a strainer and place in a large mason jar. Cover with filtered water, close jar, and let soak 12 hours. Rinse and change water at least once. Sprout People is a great resource where I purchased really nice sprouting lids. You can also use screensor sprouting screens. After soaking, rinse and drain well. Return to jar (or sieve covered with towel) and cover with sprouting lids, screens, cheesecloth or paper towels, sealed with rubber band or rim of lid). Set aside, away from direct light. Prop jars so they are tilted to drain out excess water. (A dish drain works great). The experts suggest rinsing and draining every 8 to 12 hours, but I'm mold phobic, so I rinse every 4-6 hours. Sprouts are usually ready between 2 to 3 days after soaking. Tails should not be any longer than the bean itself or they get bitter. As soon as tails start to form, they are pretty close to ready. At this point, do a final rinse, and drain REALLY well before placing them in an airtight container in the refrigerator. Options: Chickpeas are great in raw vegan hummus, but I mix mine with cashews or sunflower seeds. 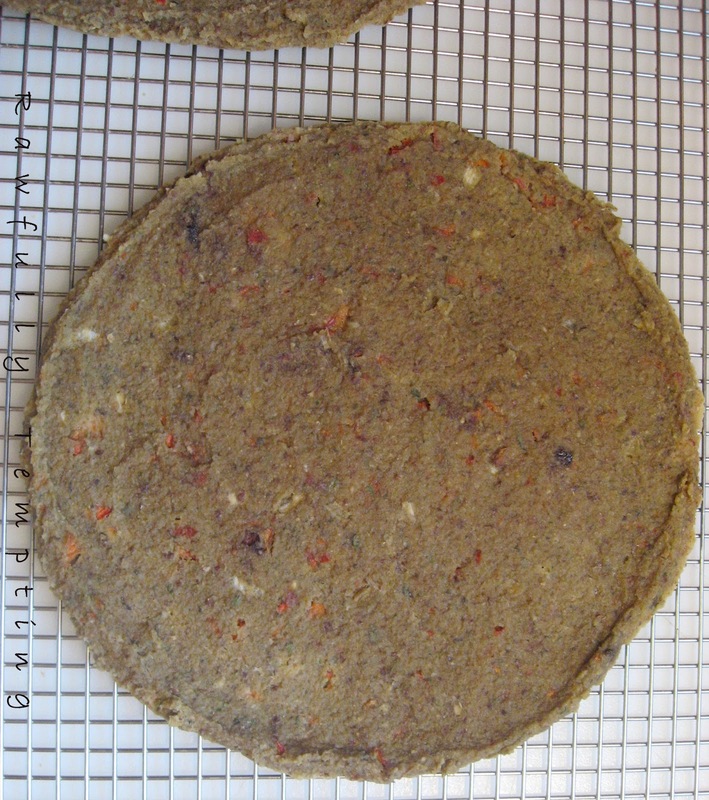 They are also great blended into cookie dough, bread, pizza crust, or brownie mixes and impart a wonderful chewy, cake-like texture. Use fresh sprouted beans within 2-3 days! 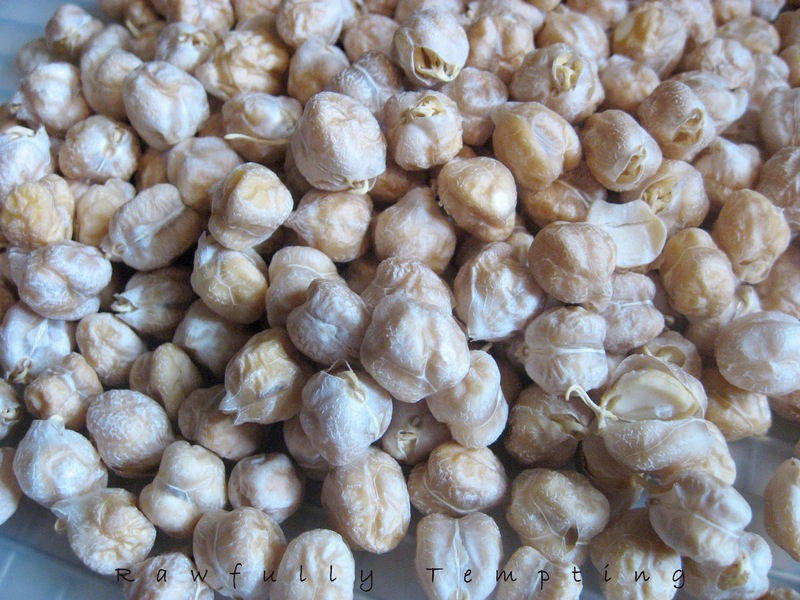 Spread sprouted chickpeas onto a mesh dehydrator tray and dehydrate at 110 degrees F for 6-8 hours. Stir them in between to ensure all sides are drying. 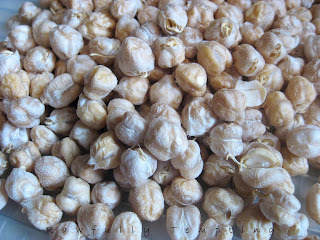 Store dehydrated chickpeas in an airtight container in refrigerator or freezer. 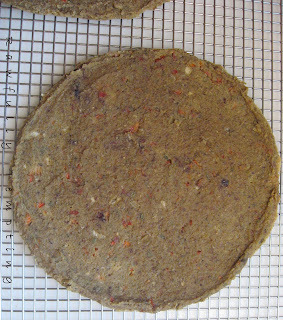 When ready to use, you can either grind into flour or soak in water 4-6 hours to re-hydrate. You can also grind into flour after dehydrating them. 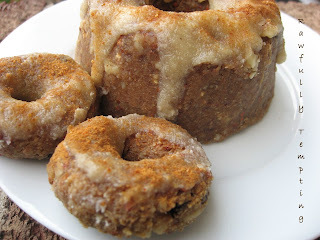 I use the Vitamix dry blender. Sift flour and re-grind what's left for best results. This produces a really light, fluffy flour that can be used in many raw recipes to replace or compliment almond flour or buckwheat flour. 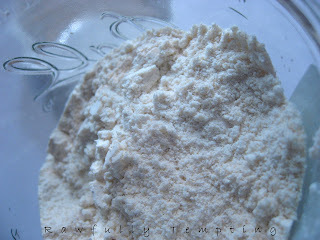 I like to combine my flours to get the variety of nutrients each has to offer.